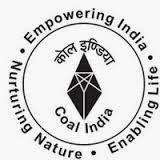 Central Coalfields Limited (CCL), a Mini Ratna Company in energy sector of the country has advertised recruitment notification for the Electrician, Overman & Other Posts. Eligible candidates can apply Online from 01-11-2013 to 07-12-2013 and send their application on or before 14-12-2013. Age: Candidates age should not be less than 18 years and not exceed 30 years as on 30-10-2013 and relaxation is available. Qualification: Candidates should possess valid Overman’s Certificate for S.No.1 Post, Mining Sirdar Certificate for S.No.2 Post, Matriculation with recognized Diploma/ ITI in relevant discipline for remaining Posts. Application fee: Candidates have to pay the application fee of Rs. 100/- in the form of Demand draft from any nationalized Bank in favor of “Central Coalfields Limited” payable at Ranchi. SC/ ST Candidates are exempted from payment of application fee. How to Apply: Eligible candidates can apply online through www.ccl.gov.in from 01-11-2013 to 07-12-2013 and send the print out of application or application downloaded from website with all the relevant documents, DD in a sealed envelope to “The General Manager (Recruitment), Recruitment Department, 2nd Floor, Damodar Building, Central Coalfields Limited, Darbhanga House, Ranchi-834029” through Registered Post/ Speed post in an envelope with Name of the post applied for & the mode of application (i.e Offline or Online-Application ID) on or before 14-12-2013.